Family Guy: Seth MacFarlane. As the author describes: ''I had known who Macfarlane was for a while and I always wondered why he never had a cartoon version of himself in the form of the show he created.''. HD Wallpaper and background images in the Seth MacFarlane club tagged: seth macfarlane family guy. 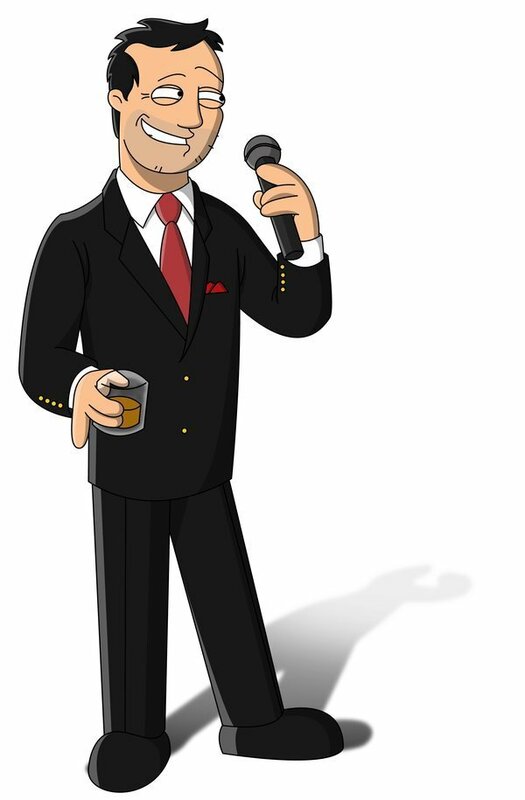 This Seth MacFarlane fan art contains business suit, well dressed person, suit, pants suit, and pantsuit. There might also be suit and suit of clothes.